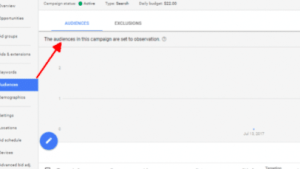 Google Ads has recently updated some of their features- and created a few new ones! In addition to a new layout, the new Google Ads interface can be a bit of a hassle to understand. But, we’ve got you covered- here’s the rundown on the new features! The only way to access the new promotion extension is to use the new UI (or User Interface). Using a promotion extension, you can link a promotional offer in text ads, but that’s not the best part! A tag icon is placed alongside the promotion text- making it easily visible to customers- making your link and promotion stand out amongst your competitors! 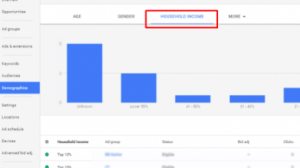 The new inference features household income reporting that is easily found in the Demographics tab. When you click on the tab, you can see all of your campaign statistics, and alongside those, the corresponding household income stats. After review of these statistics, bid adjustments can be set for any campaign or ad group so that you can move forward in the best way! This is a place to manage audience targeting and optimizations. This will also educate you on the new terminology for audience targeting. This is a words tab in the searches box and shown on campaign overview. 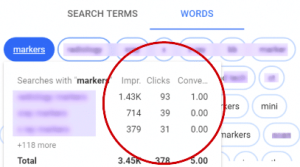 Here there is an n-gram display of the words included in the search terms that have triggered ads in the campaign- showing corresponding impressions, clicks, and conversion rates. A darker border around a word means more impressions were given for that word. This helps with proper analyzation of words and phrases for your campaigns! 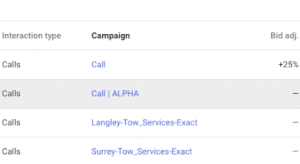 This can be used to get call extensions to show more or less often in your mobile search campaigns. This is included in the Advanced Bid Adjustment section. Imagine- all of your landing pages statistics, all in one place! This new landing page screen will be very similar to the keywords and ads pages, and will be helpful in identifying strategies to improve ad performance and user experiences. 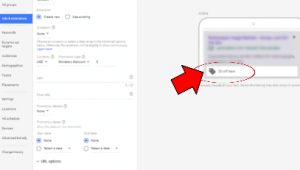 Loyalty program emails that turn into sales can be captured and imported into Google Ads directly (or through a third party). 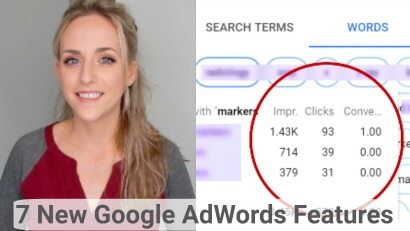 So you can easily view those important sales stats through Google Ads! Have questions about how you can use Google Ads to help grow your business online? Call or email us today!